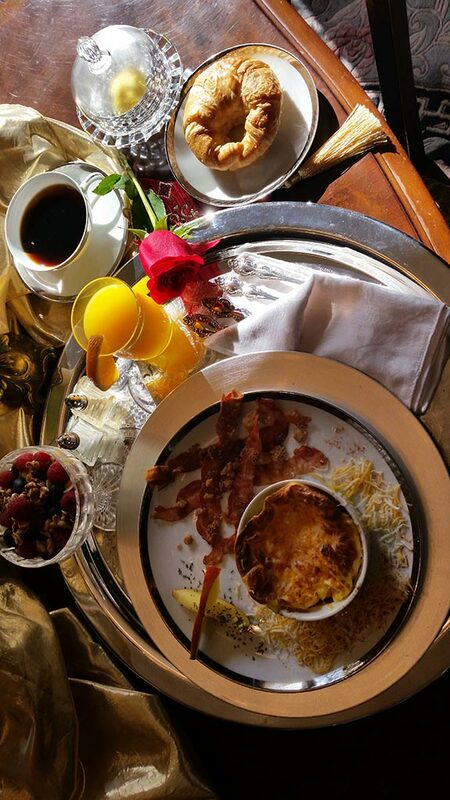 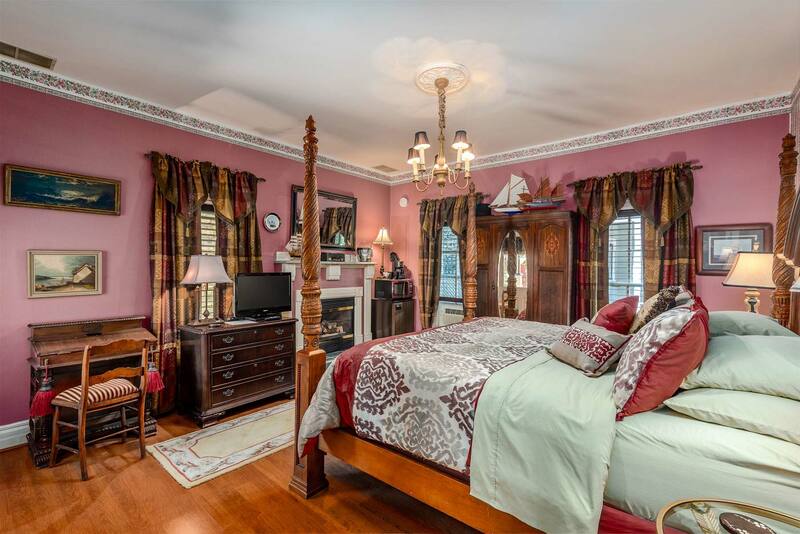 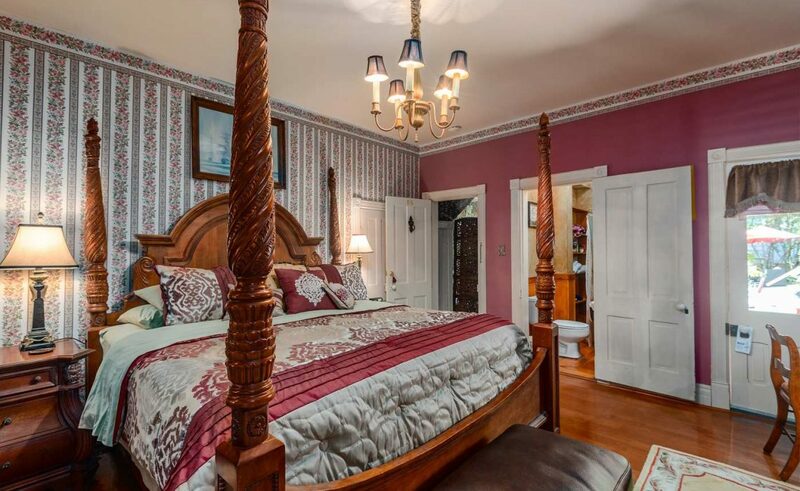 One of the original bedrooms of the historic Inn, The Captain Bridgeford welcomes you with a California king sized bed, wooden hand carved bed posts on a beautiful Opulent bed set. 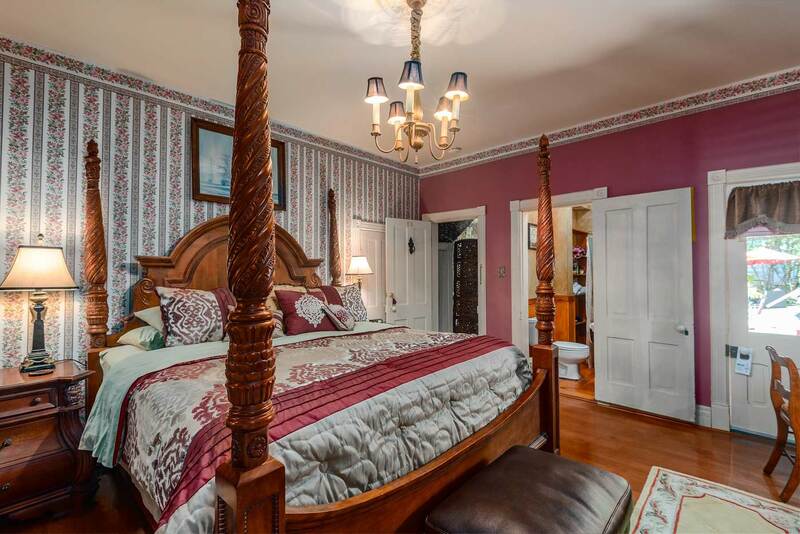 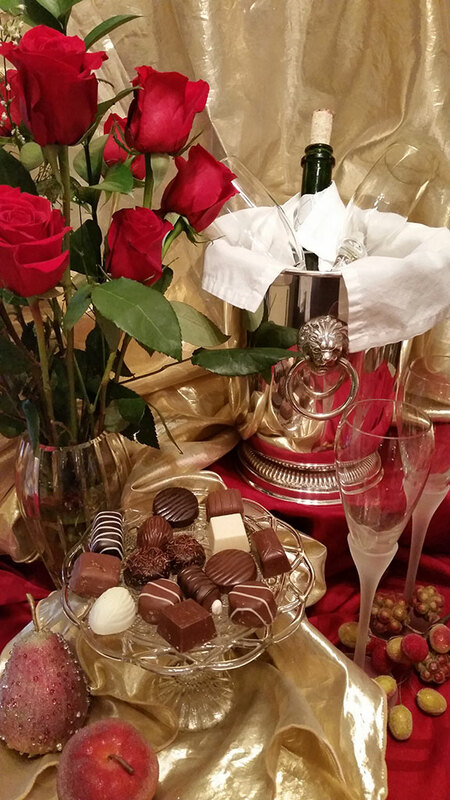 Cozy 350 square foot room on the lower level of the inn off the dining room and convenient to guest kitchen. 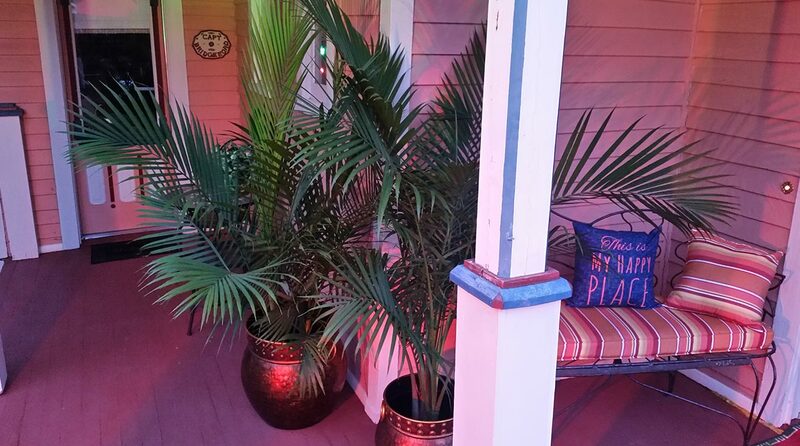 Private entrance off the lower level porch with outside seating area and easy access to the garden patio. 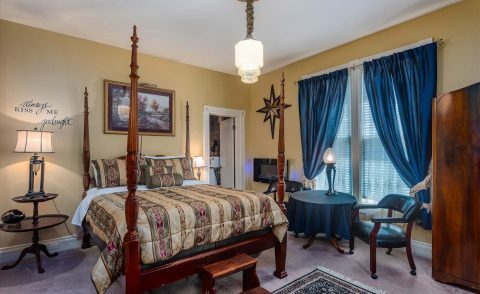 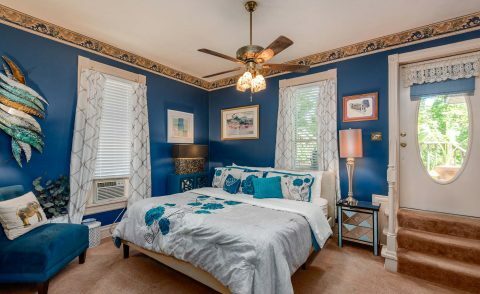 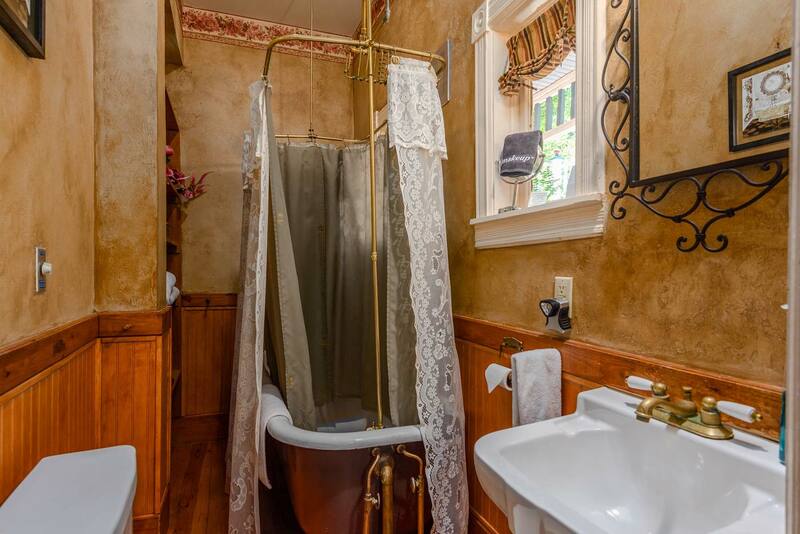 Private bathroom with original claw foot bath tub and shower, gas fireplace at the foot of the bed flat screen TV with DVD player and a guest DVD library, mini fridge, microwave, coffee maker, iron and ironing board and blow dryer.